OXFORD, Miss. – Two UM School of Pharmacy students are to speak this weekend at the Annual Veterinary Pharmacy Conference in Memphis, Tennessee, hosted by the American College of Veterinary Pharmacists. 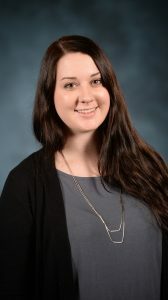 Second-year pharmacy students Robert Ross and Alexandria Gochenauer, who are both interested in veterinary pharmacy, were recommended to speak at the April 20-22 conference by Erin Holmes, associate professor of pharmacy administration. 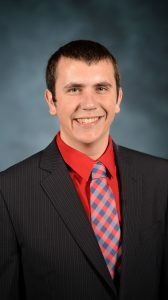 Ross, a native of Homer Glen, Illinois, helped create the university’s student chapter of ACVP, called Rebel Vets, and is the organization’s president-elect. He will present at the conference on the treatment and prevention of diabetes in cats and dogs. Ross is weighing his career options but is interested in the possibility of working in a veterinary hospital. “I see this conference as a great opportunity to be able to meet people with similar interests from around the country,” Ross said. Gochenauer, of Republic, Missouri, also played a key a role in establishing Rebel Vets and has served as its secretary for two years. “I was lucky to be offered this opportunity, and I am very excited to break into the world of veterinary pharmacy,” Gochenauer said. She will present on cancer therapeutics in cats and dogs, focusing on available drugs and treatments for the disease in these animals. Upon graduation, Gochenauer hopes to complete a veterinary pharmacy residency and eventually work in a veterinary teaching hospital.